Everyone has their favorite Girl Scout cookie. 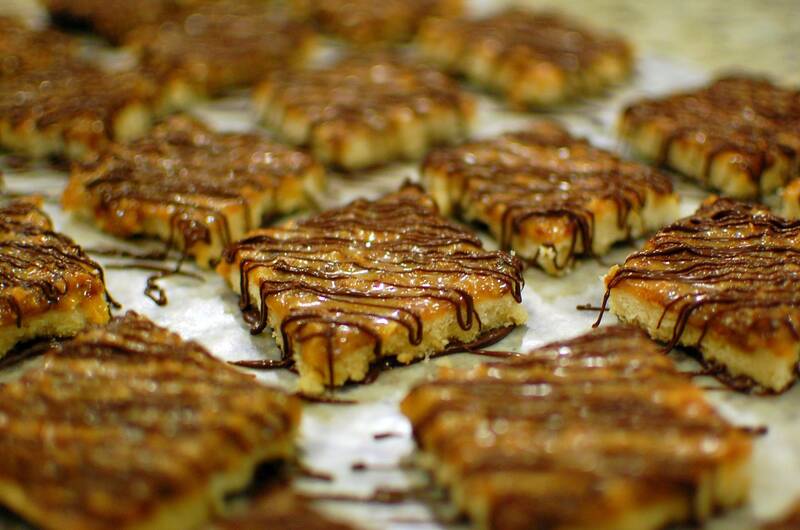 For me, it’s the Samoa: “vanilla cookies coated in caramel, sprinkled with toasted coconut and laced with chocolate stripes”. 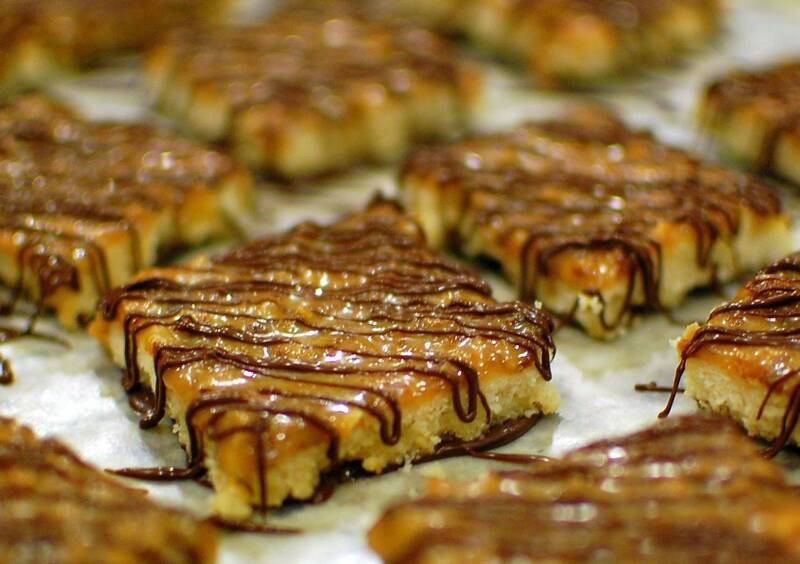 I actually got into a debate with someone about these cookies who insisted the name was changed a few years back to “Caramel deLites“, and the “Samoa” was no more. 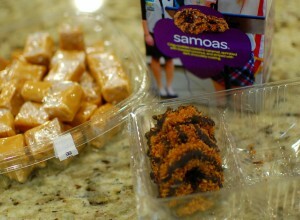 But then… how do I happen to have a (nearly empty) box, clearly labelled “Samoas” in my possession? Apparently, the Girl Scout Organization uses two different commercial bakeries to produce their cookies: Little Brownie Bakers (owned by Keebler) and ABC Bakers. Both bakeries use the same recipes, but use different names for the (same) cookies. So that explains the discrepancy! Whether you call them Samoas or Caramel deLites… when the Girl Scouts can’t be found anymore once you’ve become addicted during cookie season… what do you do?????? Make them yourself, of course! My favorite girl scout cookies... Samoas! 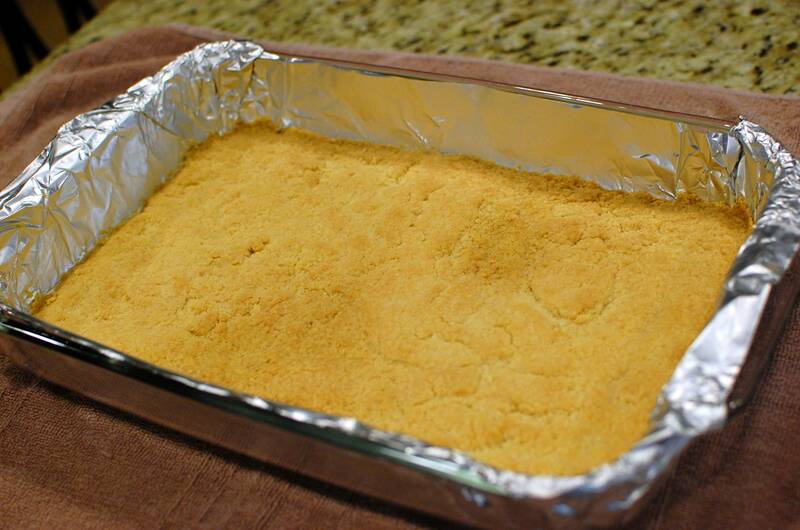 Now, I’ve tried to make these cookies several times at home, and each time was a disaster! There are a lot of recipes online that make it look so easy – and it always makes me feel really stupid that I follow the posted instructions carefully… and I end up with a crumbly mess… or something really ugly that took FOREVER to make… that doesn’t even remotely taste like a Samoa! The worst was when I used store-bought caramel candies… and after melting, the caramel turned out really hard. 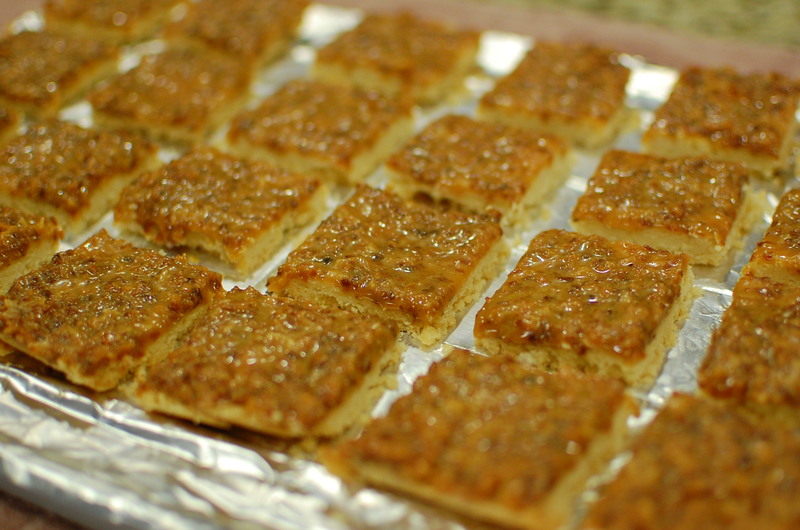 This other time, I used regular toasted coconut, and by the time I mixed it up with the caramel, it was nearly impossible to spread over the shortbread - and it didn’t stick at all – you had to hold the cookie together like a sandwich to eat it. So of course, being one to keep making a recipe over and over with small variations until I GET IT RIGHT… I finally figured it out. You want a Samoa recipe that isn’t that difficult to make, yet tastes like a real Samoa? Here it is! Forget cutting out and baking ring shaped cookies – make them as bars because it is a million times easier that way, and cuts out a bunch of steps (that are significantly more work). 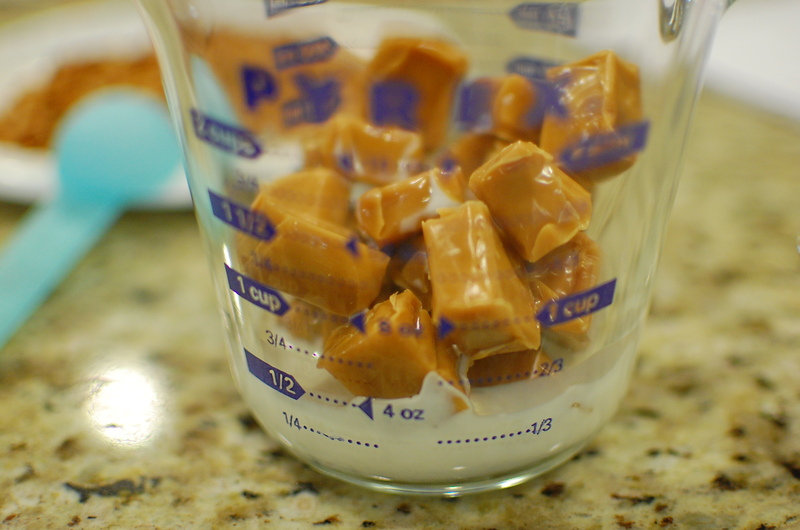 Also, you CAN use caramel candies to make this – you just need to thin it out a bit with some half and half. 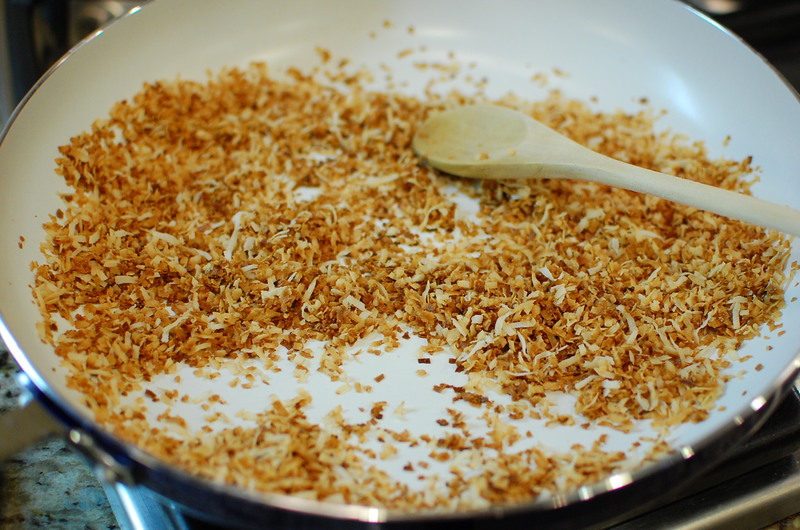 The other trick I discovered – you must chop the shredded coconut finely into smaller pieces… it completely changes the spread-ability of the caramel topping, and makes it more similar to the topping on the real Samoa cookie. 1. 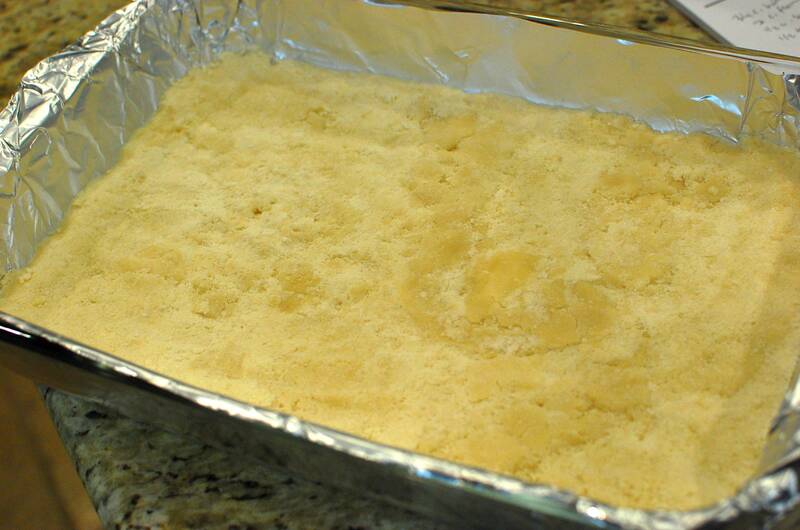 Preheat the oven to 350 degrees and line a 9″ X 13″ baking pan with non-stick foil (or greased foil). In the workbowl of a food processor, combine all the shortbread base ingredients and pulse until the ingredients come together as fine crumbs. 2. 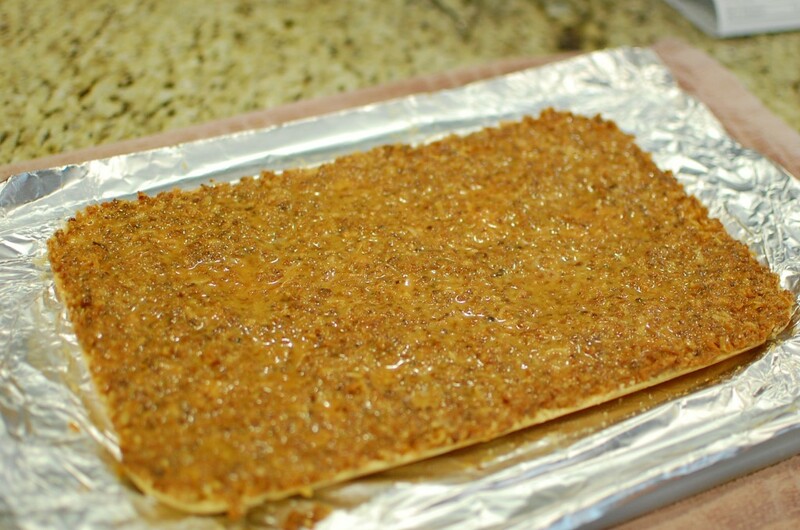 Gently press the crumbs into the bottom of the 9″ X 13″ foil lined baking pan. 4. 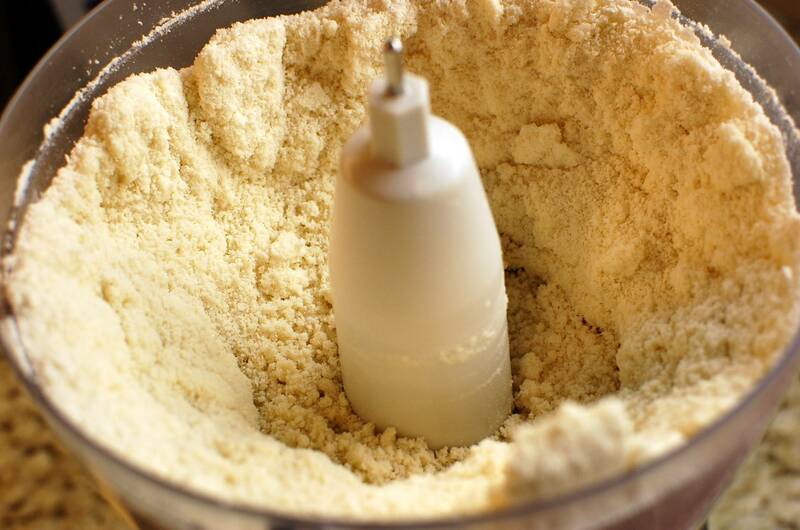 While the shortbread base is baking, put the coconut into the food processor and pulse until broken up into smaller pieces. 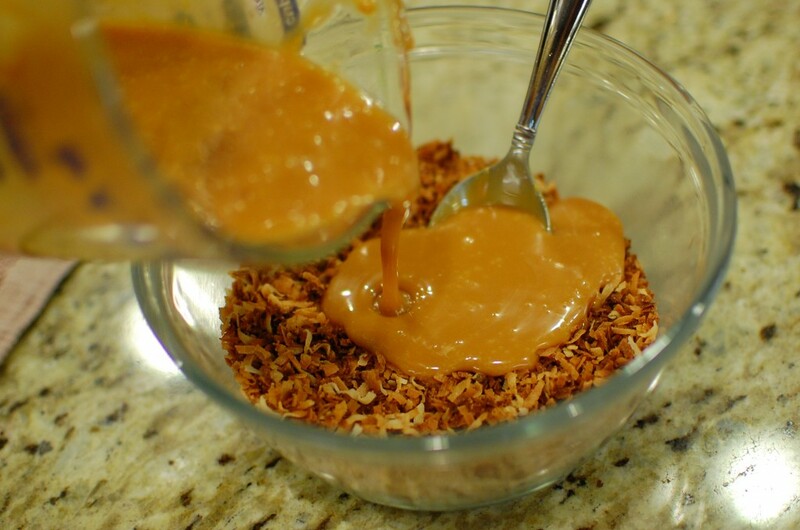 (Trust me, you definitely want to break the shredded coconut down a bit – it will make the caramel mixture easier to spread in the end, and will give you a closer copycat cookie to the real thing! 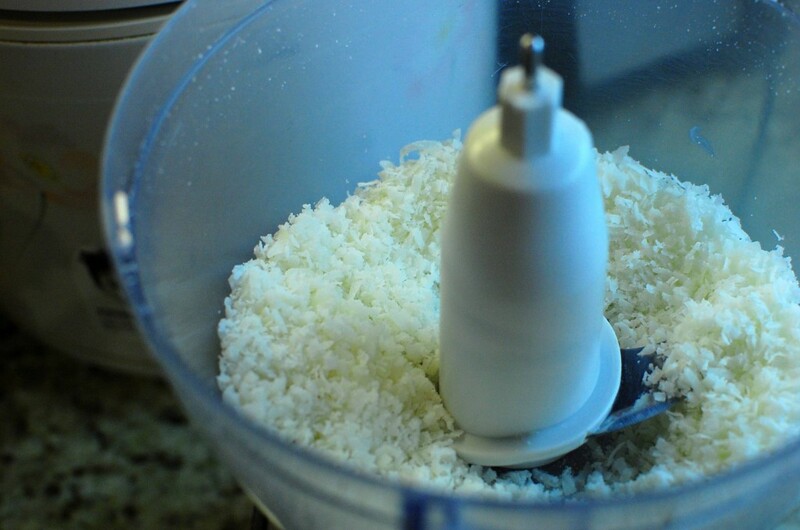 If you don’t have a food processor, you can chop the coconut by hand.) I know the coconut in this picture below doesn’t look very finely chopped, but some of the coconut shreds were pretty long to start with… here, the coconut pieces are much smaller. It took me about 10-15 seconds to process the coconut to the size I wanted. 6. Pour the hot melted caramel over the toasted coconut in a small bowl. 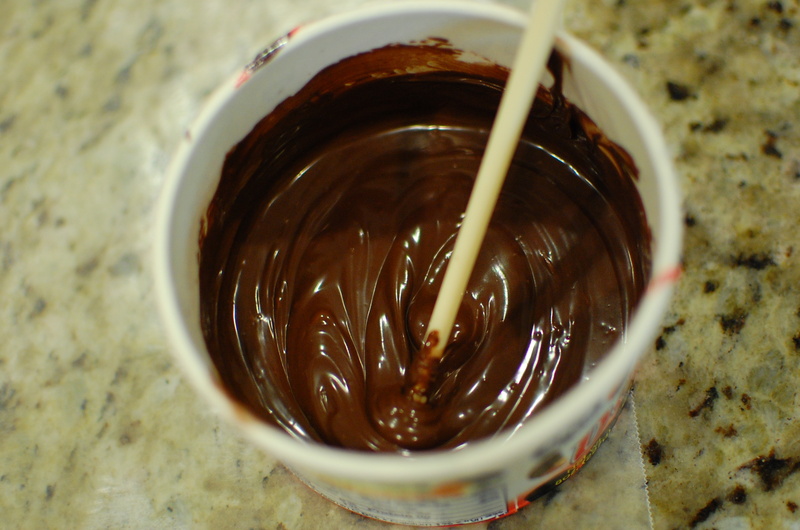 Stir and combine. 10. 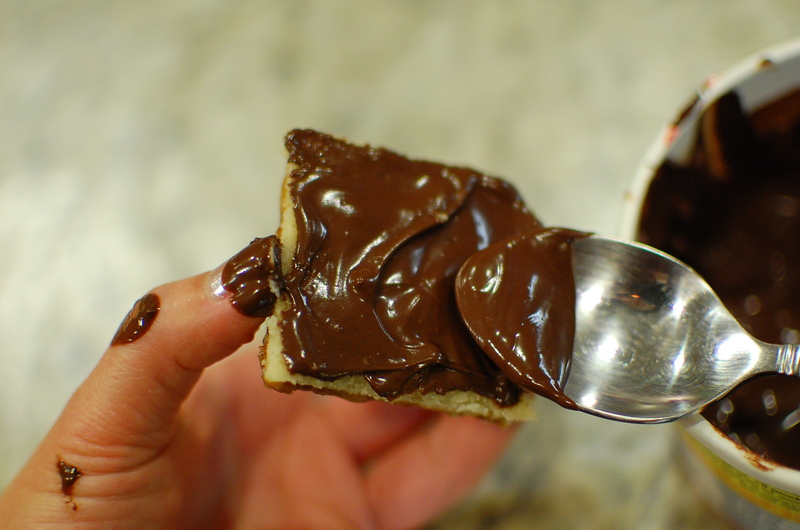 Holding the cookie squares carefully by the edges (they can still be slightly warm at this point), turn them upside down, and use a teaspoon to spread a thin layer of melted chocolate across the bottom. 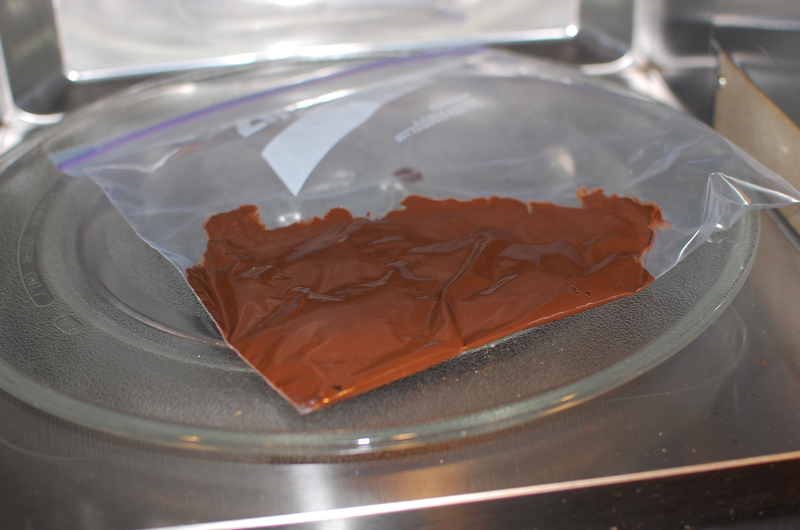 Set down on a large sheet of waxed paper to cool and harden. 11. Put the remaining melted chocolate into a ziploc bag, and microwave 15 – 30 seconds to heat a bit more (so that it is a bit more liquid-like, and not so thick). 12. 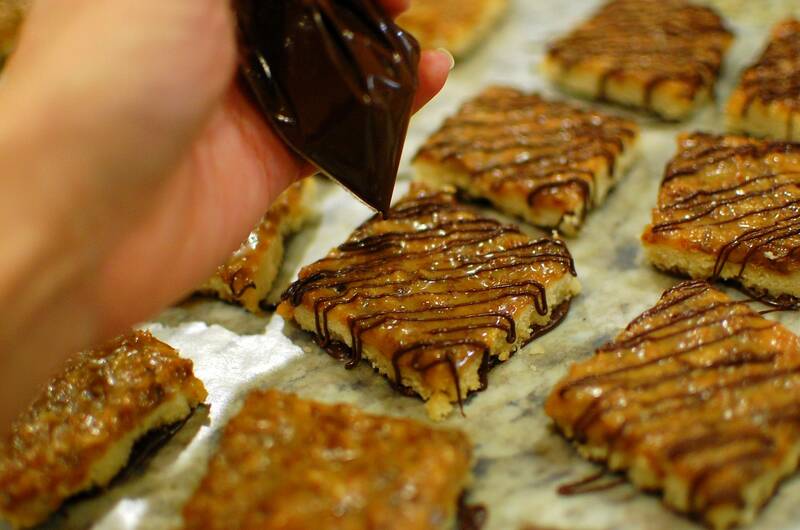 Snip off a small piece from the corner of the bag, and drizzle the leftover melted chocolate back and forth over the individual cookie squares. 13. Allow the bars to cool and set. 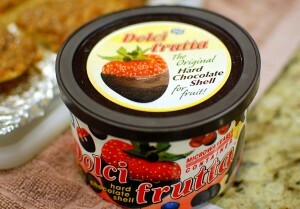 Store in a plastic container at room temperature. these looks great! I tried making these at home too with a similar recipe. Thanks, Mary! How did yours turn out?